My time with Virtual Desktop Infrastructure, or VDI started in 2007. 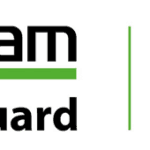 We deployed VMware’s Virtual Desktop Manager for a couple of test projects, including desktops for the help desk, and desktops with admin tools for certain groups within our IT organization. This was before linked clones existed, and we had a hard time justifying the storage costs for hosting desktops in the data center, no matter what the benefits were. Things have certainly come a long way since then. Now we’re working with VMware Horizon View, which is full of features like 3D graphics support, and real time audio and video. With the way storage technologies has grown and evolved since 2007, cost isn’t really a factor any more when we’re talking about VDI. In fact, today I can run a VDI environment with Horizon View for a storage cost of $55 dollars per desktop, and that’s on a NetApp All Flash FAS. All flash storage for a fraction of the price I was looking at seven years ago. Don’t believe me? Check it out in plain black and white, NetApp All-Flash FAS Solution For Nonpersistent Desktops with VMware Horizon View. It is based on the FAS8060 platform, which is a great platform, and probably one of my favorites in the FAS8000 series lineup. It’s also a realistic platform to see deployed in an environment, it isn’t the smallest, and it isn’t the largest, the FAS8060 really hits a sweet spot as an infrastructure building block. I’ve worked with them quite a bit, and the performance on the All-Flash versions is staggering. Neto from Brazil helped me with a proof of concept for a customer, and we just blew them away with the performance on VMware over NFS. Of course, there’s a FlexPod for that. NVA-1110, FlexPod Datacenter with NetApp All-Flash FAS and VMware Horizon View comes in two flavors for your infrastructure needs. First, we have the design guide which walks through the solution, and exactly what it contains. The design guides are always a good place to start to get a quicker overview of how the solution is configured, and why. For example, the design guide contains background information on the NetApp Virtual Storage Console for VMware vSphere, and why it is important to the overall solution. It also talks about things you should be thinking of as you design your vSphere cluster for this solution such as vSphere cluster maximums you may run into, and the use of DRS and HA. 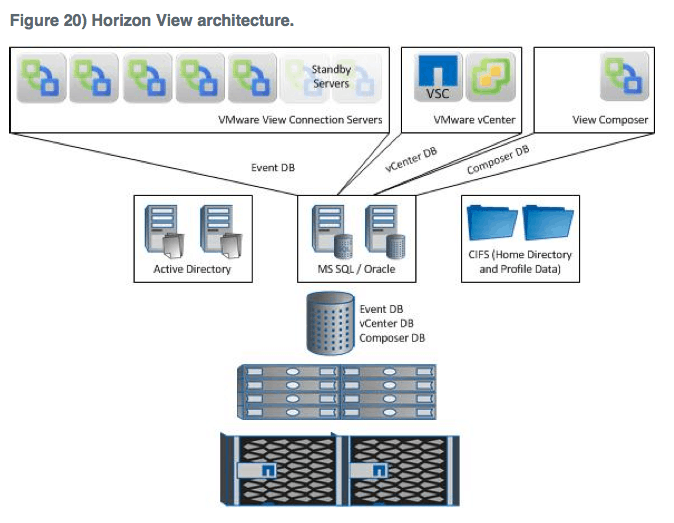 Finally, it goes into design considerations at the application layer, in this case, VMware Horizon View. Next comes the FlexPod Datacenter with NetApp All-Flash FAS and VMware Horizon View NVA deployment guide. These guides are fantastic resources. They have everything you need to deploy the solution, from cabling guides to how to install the application once you’ve finished the infrastructure. One of the great things about FlexPod is its flexibility, especially from the delivery aspect. You may chose to do the rack, stack, and configuration yourself, in which case the deployment guide tells you how to do it. You may choose to have your FlexPod show up on your dock, completely configured and ready to plug in and deploy. You may even want a little bit of both, perhaps you’d like your FlexPod built on site so you can get a little bit of hands on time, but your schedule doesn’t allow for you to do the installation yourself. However you’d like your FlexPod delivered is completely up to you, and what’s right for your organization. I’m going to come out and say it, I love All-Flash FAS, and it isn’t just because I work for NetApp. Before I was a SE, I was an administrator running an infrastructure, and I still always think with my administrator’s mindset first. First and foremost, I get all the features I know and love from Clustered Data ONTAP, with the power of all flash behind it. Dedupe, check. Compression, check. Non-disruptive operations, check. In-line zero write detection, check. The list goes on and on. I get the power of 22 years of innovation and an enterprise support organization behind my all flash array. I get seamless integration into my current NetApp infrastructure, and a solid foundation for my virtualized data center. VDI, and our infrastructures as a whole have come a long way in a few short years. After all, Cisco UCS was released in 2009, and now is now number two world wide in the X86 blade market. We’ve gone from trying to justify the costs of desktops in our data centers, to being able to provide them for $55 dollars each, on an enterprise class all flash array. Today, there’s not much we can’t do on a virtual desktop, from delivering desktops and apps to users over their tablets, to powering IO and 3D intensive apps for specific use cases. The possibilities are endless, and our infrastructures power them all. We have equally great solutions and capabilities for customers that want to run Citrix XenDesktop, ShareFile, and XenApp on FlexPod. Here is a link to the TR http://www.netapp.com/us/media/tr-4342.pdf and to the blog http://community.netapp.com/t5/Technology/How-the-University-of-Sao-Paulo-Mobilized-Their-Students-Faculty-and-Staff/ba-p/96763 that we published. Citrix also has some unique integration with NVIDIA for great visualization performance capabilities.